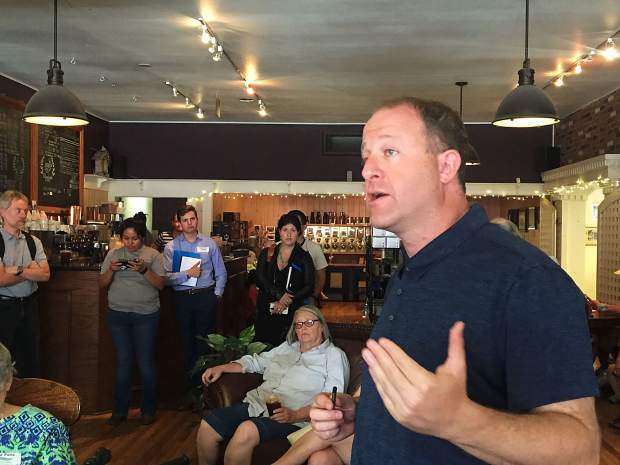 U.S. Rep. Jared Polis stopped into a Glenwood coffee shop Wednesday on his gubernatorial campaign tour of the Roaring Fork Valley. The Boulder Democrat Polis, who’s served in the U.S. House of Representatives for 10 years, joins an already crowded race to succeed Gov. John Hickenlooper. Polis wants to set Colorado on a path to 100 percent renewable energy by 2040. 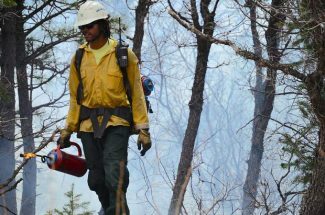 “That’s going to mean green jobs that can never be outsourced in all parts of the state,” especially outside of the metro area, he said. The congressman said this will mean more clean energy manufacturing jobs, as well as jobs in installation and maintenance. “Working to move our state to 100 percent renewable energy, that push isn’t going to come from Washington with President Trump pulling out of the Paris accords and with continual giveaways to the fossil fuel industry,” said Polis. The candidate has also focused on early childhood education issues, proposing to give the state’s parents free full-day kindergarten and preschool programs. Studies generally agree that the most important years in education are the early childhood years, said Polis. Currently only half-day kindergarten is available in Colorado public schools, and parents must pay for full-day programs. “Universal preschool and kindergarten” would be important in preventing educational gaps, he said, and it helps families by freeing up parents to go back to work if they choose. “I think the biggest beneficiaries of universal preschool and kindergarten are our mountain and rural areas,” he said. 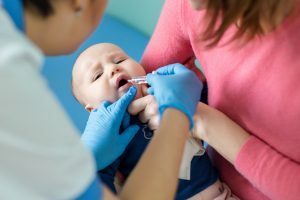 This would help with the lack of child care in areas like Glenwood Springs, where the child-care workers making an average of $10 per hour can’t afford to live anyway, the congressman said during an interview at the Post Independent before a public meet-and-greet at Bluebird Cafe. Polis has also pledged to foster “an economy that works for everyone,” which he believes can be boosted by encouraging more companies to adopt employee ownership models. Through state incentives, Polis would encourage Colorado companies to follow in the footsteps of many craft breweries and tech companies by adopting one of the various types of employee ownership models. Part of his plan would call for establishing a state center that wold provide free technical assistance to any company that wants to take on this model, to cut out what are otherwise cost prohibitive fees attached to the process. “How can we make sure that when a company succeeds, it’s not only the executives and the investors that succeed, it’s also the workers?” he asked. “In most conventional industries, they haven’t yet made that the cultural norm. But I would love our state to be the leader in employee ownership,” he said. Polis also said he wold advocate a statewide infrastructure package that he said would include multimodal transit solutions, including bike and bus transit. “It will take a governor to really bring together the entire state around an infrastructure package that prepares our state for the future,” he said. 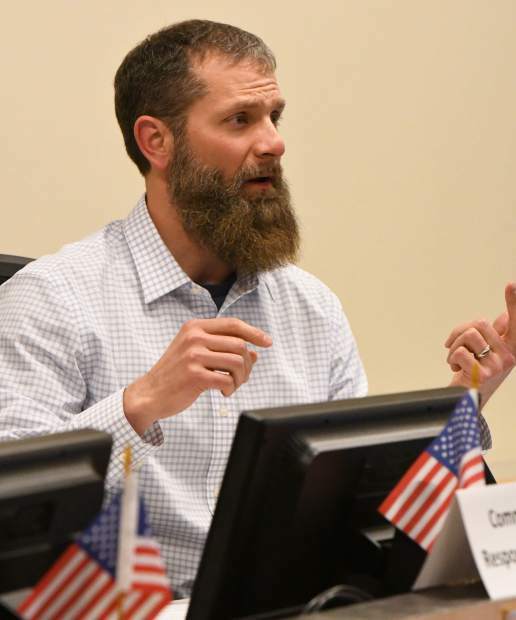 In addition to his time in Congress, Police noted his six years on the Colorado State Board of Education, his experience founding schools for the at-risk population, immigrants and homeless youth and his experience starting businesses. “Now I feel like I can make the biggest difference at the state level,” he said.